In this workshop, Tania will teach you the key skills to become confident in Watercolour Lettering. The course is for beginners, but everyone is welcome. You’ll begin with warm up drills, using a water brush pen, to introduce you to the gliding action and delicate nature of paint, water and brush. After the warm up is over, we move on to the lowercase and uppercase alphabet. You’ll have a clear understanding of thicks and thins, when to reload your brush, and how to achieve a gorgeous gradient effect. At the end of the class, you will be confident to write your favourite quote, or create a meaningful card for a loved one. You will leave the workshop with the key skills of watercolour lettering, and instruction sheet for continued practice at home! 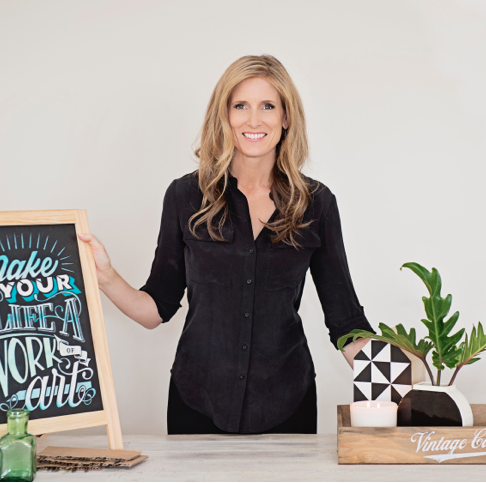 Tania is a Gold Coast-based calligrapher, chalk artist and signpainter. Determined to overcome her left-handed, southpaw beginnings, she first picked up her mother’s right-handed calligraphy pens when she was nine, and has loved handlettering ever since. This passion grew stronger during her time at Griffith University’s Queensland College of Art studying graphic design, lettering on marble, wood, skin, walls, suitcases and fences (basically anything that doesn’t move). She now spends her time designing beautiful signage for Queensland weddings & events, and conducting creative lettering workshops, most recently at the University of the Sunshine Coast. Tania invites anyone with a love of the handwritten word and beautiful paper to come along and delve into the art of watercolour lettering.